Canberra Diamond Blade has earned a reputation for being one of Australia’s leading suppliers of cutting and sawing equipment, as well as other essential trade supplies. 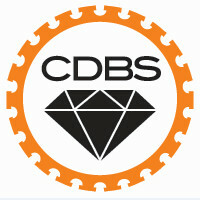 We have a fantastic collection of diamond core drills for sale at our online store. When you’re looking to buy sturdy, reliable core drilling machines and supplies for the drilling of concrete and other materials, look no further than the amazing range of concrete core drilling supplies at Canberra Diamond Blade. What Are Diamond Core Drills Used For? Diamond core drills are effective tools for when it comes to creating holes in hard, non-wood surfaces such as concrete, glass, stone, granite, marble, ceramic and porcelain. Diamond drill bits are stronger than other core drilling machines as the have little shreds of diamond embedded with them. These drill bits, whether cylindrical or twisted, are incredibly used for bathroom applications where you have to drill into tiles to mount vanities and towel racks. Certain diamond drill bits require water or other coolants to provide their lubrication as it enters the tougher materials. Why Purchase Concrete Core Drilling Equipment From Us? As one of Canberra, and Australia’s, leading providers of high quality cutting and sawing machinery, you can be sure that when you purchase a core drilling product from Canberra Diamond Blade then it will be incredibly effective for your application. Not only this, but the team at Canberra Diamond Blade have a profound level of knowledge regarding our products, and will be happy to assist you with all your questions regarding our core drilling supplies and machines. If you would like to find out more about our range of core drilling machines and supplies, or would like to enquire about a particular drill, please feel free to get in contact with the friendly and helpful team at Canberra Diamond Blade. Send us a message via our contact page or call us on (02) 6242 8996 and we will be happy to help you with your enquiries.